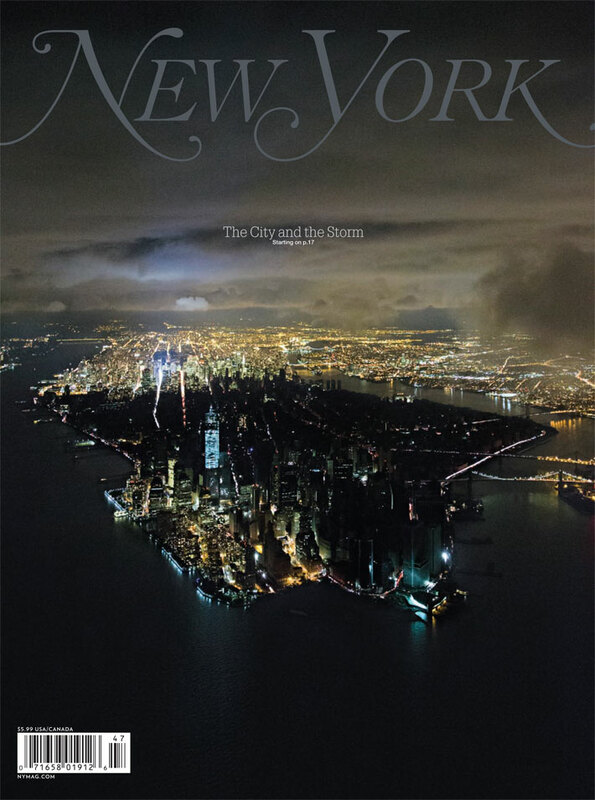 iwan baan’s beautiful images of sandy have been circulating on social media, and illustrate the cover of the new yorker. 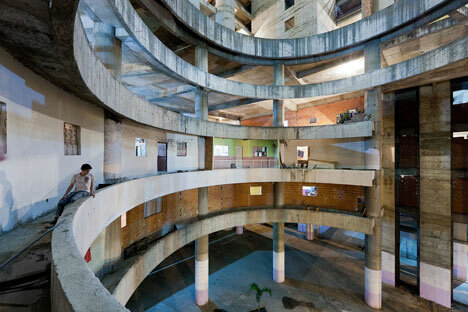 they remind me of another set of beautiful images by baan, the ones of torre david in venezuela, which won him—and collaborators justin mcquirk and urban-think tank—the golden lion at the last venice biennial. similar to the sandy images, in torre david we are shown the unexpected beauty of a painful, difficult situation. but it is important to remember baan is an artist, not a reporter or a historian. his images render the beauty of the storm but often obscure its consequences, the pain and suffering of people caught up in the midst of a disaster. we see gorgeous flickering lights, distant clouds, the geometries of buildings, the beauty of faces and textures. the scenes are never jarring or painful. they pull us out of the event, and highlight its unexpected beauty—but they do this through an operation of removal. what i find problematic in baan’s images is that a powerful storm, or an unfinished building taken over by people without the resources to afford a home, are not beautiful situations. they are instances of human beings confronted with the might of circumstances beyond their control—in other words, in terms of representation they belong to the kantian category of the sublime. kant distinguished these categories, defining the beautiful as an affinity between the images captured by our imagination and how they are processed by our understanding, producing a sensation of agreeableness or pleasure. he described this affinity as disrupted in the sublime, in which our understanding cannot process a situation and finds it jarring and uncomfortable. the beautiful satisfies us, the sublime upsets us. if we are picky with the kantian definition, the sublime is unrepresentable, an oxymoron as an aesthetic category: it describes a feeling that cannot be adequately depicted. baan is a fantastic photographer and all photography is, of course, a representation—and ultimately there is no “right” way to represent disaster. for what it’s worth, the more images the better, as in quantity we might approach, asymptotically, the impossibility of reaching the infinite. in other words the weariness of image overload might be the nearest we can get to representing the sublime. i disagree with aaron betsky’s assessment that the proliferation of images in social media was morbid and turned disaster into spectacle. as absent witnesses, we want to know—we need to know. a region has been damaged, its people are in pain. it is insulting to confuse the painful need for information with voyeurism. what i want to problematize is our reception of these more polished images. when baan turns from architecture to disaster, what is he representing, and why are we so fascinated by it? we find, perhaps, consolation in a form of representation that returns all that suffering to something easier to process, easier to cope with. we are comforted, in other words, by this shift into the realm of the beautiful. * it is easy to get lost in the beauty of baan’s photography, but we should do well in remembering the storm and torre david are not beautiful situations: they are instances of grave tragedy that these images—unintentionally—tend to distance us from. if you haven’t done so please consider contributing to the red cross and if you’re in the area, you can volunteer through nyc service or occupy sandy. ps. i apologize to baan for making him the case study of what is an unresolvable problem. i admire his skill and talent as a photographer and appreciate the attention he has gathered for these situations. pps. i am also aware the focus on new york has obscured the more severe plights of other areas, not only new jersey and staten island, but also the caribbean. * edit: see kazys varnelis’ analysis of the use of instagram, i would argue its nostalgic filters veer towards the burkean picturesque. ** edit: alexandra lange reminds me iwan baan also did some of the photography of the projects for moma’s small scale, big change exhibition (i still haven’t forgiven them for misplacing chile in ecuador, see my comment in her post). ** for details on the setup of the new york baan photograph, go here. architizer covers randy scott slavin’s sandy photography here.